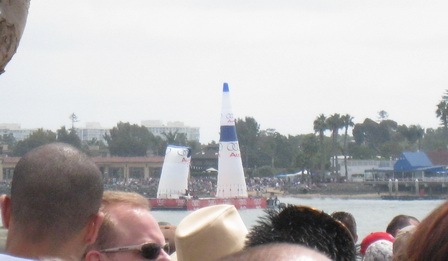 Two weeks ago the Redbull Air Race series held its second race in San Diego Bay, and it was awesome. 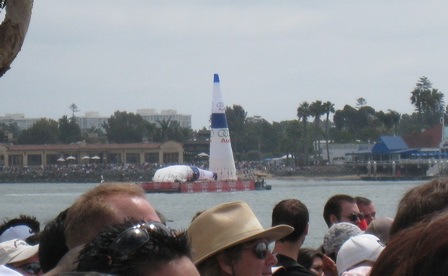 I went to see them last year as well, and this year it was as exciting. 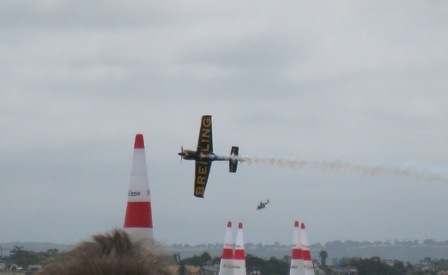 I was, of course, favoring Austrian pilot Hannes Arch, and surprisingly this year he’s proven to be an excellent contender. Last year he didn’t make it into the final race but gave us an interesting show as he hit one of the quadro pilons in qualifying. This year he got 4th place and he’s even made it to the podium in the first race of the season. The racers are exposed to incredible g-forces during the race, up to 10 g. So some of them wear suits to prevent the blood from shooting into their legs leaving nothing left for the brain 😉 If they come close to you (for my Austrian readers, the closest race will be Budapest), I highly recommend you go and see it. 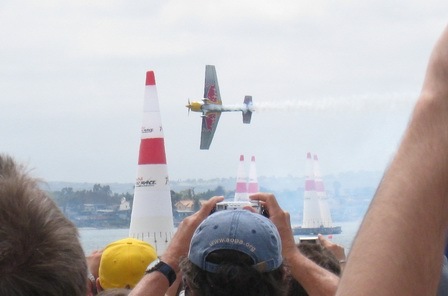 Unlike Formula 1, watching a Redbull Air Race live is a really cool experience because you actually get to see the entire track. Also, the on-site commentators were excellent and they have a few big video screens with interesting shots from cameras attached to the planes. Go check it out! 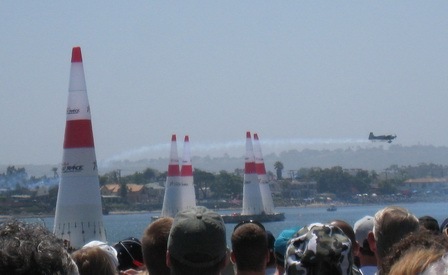 It’s a 10 second penalty if a racer hits one of the pilons as in the picture above. The crew can bring a pilon back up in under 5 minutes. 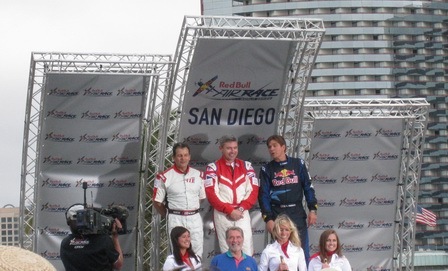 Finally, the lucky winners of the San Diego race. 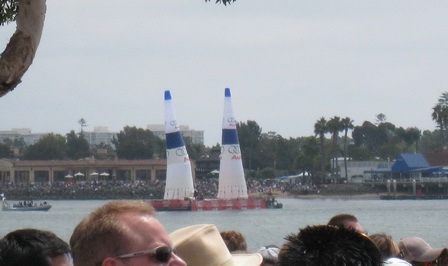 In the middle, the Brit Paul Bonhamme who also won the first race, on the left in second place Californian Mike Mangold, last year’s champion, and finally on the right in third place American Kirby Chambliss, who won the 2006 season.